● Check out the Free Deluxe Gift section in order to receive free items along with your purchase. These offers are usually redeemable with a minimum required purchase, though you should check the site to note if there are any other requirements. ● Take advantage of the ongoing, sitewide free shipping promo. You don’t need a code to redeem the offer, which applies to ground shipments to all delivery addresses in the continental US. ● Browse the Special Offers page in order to learn about current, usually limited time deals. Past offers include promo codes for free samples of select beauty products with a minimum purchase. ● Look into offerings in the $35 & Under Gifts section, which offers inexpensive buys. ● Check out opportunities for order upgrades, which allow you to add on a specified item for a steeply discounted price. For instance, a past offer allowed customers to add a tote (normally $122) for $26.50 to their order. People who have skincare concerns or that are interested in luxurious makeup can browse through the products available from Elizabeth Arden. On their website you'll be able to get a personal skin consultation that will describe all of the issues that you may be dealing with and then you will be recommended to try different products that they have in stock. You can also take a look at the beauty tips that they have available. If you're looking for different product categories you can take a look at their skincare items, makeup, fragrances, gifts, and gift sets which give you a collection of many different products. 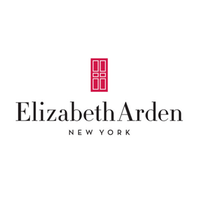 For most up to date offers check out Elizabeth Arden on Facebook and Twitter or contact Elizabeth Arden Support for any questions.